This is a transcript of the RuneScape Reveals speech Mod Mark gave at RuneFest 2017. For those of you at home that haven't heard, right now we've got both Old School and RuneScape running on mobile, giving our mega fans here at RuneFest the first chance to play their proper, real accounts in the live games, via a mobile device. This joy will be coming to all of you very soon, with Old School being accessible later this year, and RuneScape following shortly after in 2018. It's really a new age of connectivity, giving you the chance to play your favourite game anywhere you like, and stay in contact with your friends wherever you want. But importantly, this has inspired us to line up a pretty crazy rest of 2017 and a very exciting bunch of new updates for 2018, which I'd like to talk to you about now. As Mod Osborne told us earlier in the year, our main focus right now is Unfinished Business. So what does that mean? It's all about giving you the things we've talked about in the past and really delivering the promises we've made to you. However, life's pretty boring if you always know exactly what's around the corner. We've also said previously that we'll continue making updates that have the capacity to surprise and delight you – things you never knew you wanted until after they've become part of your RuneScape lives. 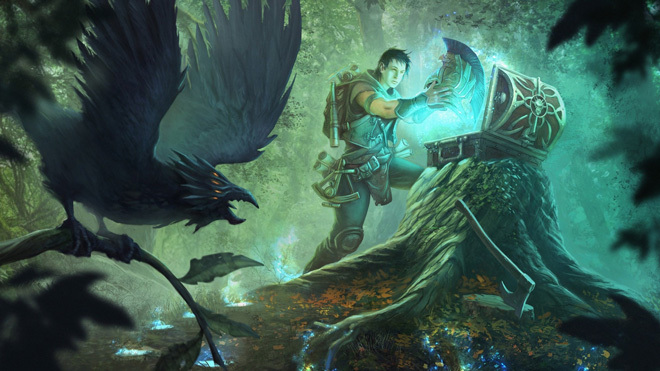 Things like Dungeoneering, which came second to Slayer in the recent survey of favourite skills in the game. While there's still plenty of you telling me it's a minigame, not a skill, you certainly seem to like it, even years after its initial launch. The surprise, the wow factor, the social gameplay - the fundamentally different mood you approach that sort of content with is part of its success. It's up to us to keep a good mix of those old promises, shiny new secret updates and the things you tell us you want more than anything. And the updates I'm going to talk about have hopefully hit that right mix. Of course, we need your feedback to make them as good as they can be. We know that together we're at our strongest. We ran another huge survey back in the summer, so throughout this I'll be sharing some of those results with you and showing you how they've helped shape the future. It's important to note that every single update that I am going to talk about in this first section is something we are actively working on. These are real updates, hitting the game within the next 6 months. Last year this was the 9th most wanted update, and its finally coming this winter. And it's a pretty chunky update. We will be introducing a new Master tier of clue scrolls to satisfy the greatest and highest levels of scroll hunters. Of course there will be some unique rewards in those new caskets, so let's take a look at them! First up is another mega rare find sure to be of interest to the merchants out there. 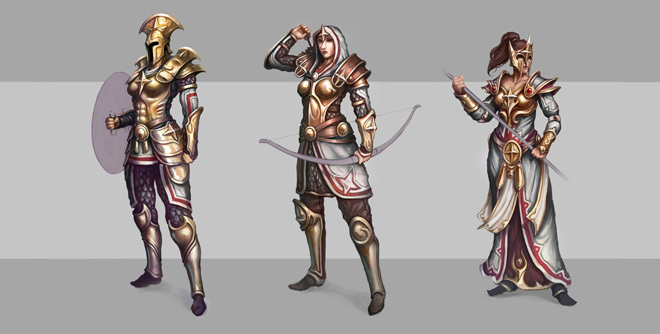 That's the Second Age outfits. These are based on the kind of gear you might have seen back when the gods first showed up and Zaros's empire was at its strongest. As you can see, this is quite heavily influenced by Saradomin – and most RuneScape historians seem to forget that Saradomin was a pretty major player back in the Second Age, with his followers wearing gear very similar to this. Next, a cosmetic override that - well - sets your swords on fire! It can be applied to all swords, even those on your off-hand slot. You can also see the new ice dye here, capable of making some of your most precious gear even more shiny. We've also got a unique clue scroll outfit that will help you solve the puzzles they contain. A perfect outfit for the adventurer types out there, it's certainly one of my favourites. We're also adding a collection log for all scrolls you complete after the launch, so you can see just how you've done over time. We are still planning to do the cool reward footprints I talked about last year, but this needs some complex work. It will take a while before we are able to do that as we prioritise other projects, but it's coming! We won't be neglecting the lower tiers of clue scrolls either. We have several improvements underway across all tiers, not least a large-scale rebalance of rewards to make all of them more valuable and worth your time. We'll also be taking a leaf from the Old School book and adding stash locations for you to store clue scroll specific outfits and gear to help you solve those pesky outfit puzzles. And we're changing the limitations to how many scrolls and caskets you can hold at any one time, meaning you can make those cool 'opening 100 caskets' videos are finally within your grasp. Back when Evolution of Combat launched, the off-hand weaponry was one of the coolest things about it – and at the time we talked about ways for skillers to benefit from that offhand slot. We did a bit of that with the catalyst fragment rewards from Sliske's Endgame, but really, that was just the start. Alas, you let us know that dual wielding pickaxes was a bit silly, and we wouldn't want anything silly in RuneScape, now would we? We will be adding far more skilling off-hand items, which come in the form of magical relics. Each relic has a theme attached to it: like a sacrifice theme that deals damage to you, (perhaps even killing you) in return for even more buffs; a restoration theme that buffs your skilling potions or regrows locations; a time theme to help you AFK more complex training methods; an elemental theme; even a destruction theme to annihilate the resources you're gathering for alternative rewards. Each relic and the catalyst fragment can be augmented with the Invention skill to allow you to add skill perks, and will give set effects to skilling outfits when used with the appropriate gear. This update will really give skillers another edge to their training, and we'll be adding more off hand skilling items in the future, even a special heroic elven item with some associated lore and quest-like content. Skilling off hands are planned to be added to some older pieces of content to enrich their drop tables and give you more reason to return to some beloved, but neglected areas of the world. Now if you're anything like me, you love a beer festival! Right now our German players in Munich have the perfect excuse for not being here – they are busy celebrating Oktoberfest – the greatest beer festival in the world, and the inspiration for the next update I want to talk about. 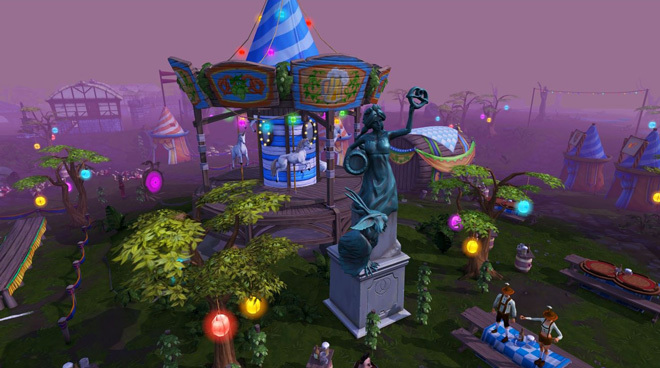 Since the beginning of time, Lumbridge has seen its fair share of action – be it goblin invasions, birthdays, restless ghosts, warring gods, prawn bosses or sandcastle contests – but it's time to forget all that and raise a glass to Novtumberfest, the first annual Gielinor beer festival! It's the ultimate in Bavarian-style celebrations, as we lock arms with Alfred Grimhand, over 15 and a half years since his original Barbarian Bar Crawl. It's a huge party in the Lumbridge crater, complete with table dancing and a brand-new crawl across the world. You'll also be able to try out a brand new, seasonal minigame called 'Kegger‘ where you'll be practicing your bartending skills for some epic loot – thigh-slapping outfits, huge tankards, wolpertingers, barrel pets, dance emotes, and we'll chuck a bit of XP in there too. Novtumberfest is the best way to relax after a heavy XP session, so get stuck in. There's really not long to wait. Skilling pets was also in last year's poll, reaching the top 10. 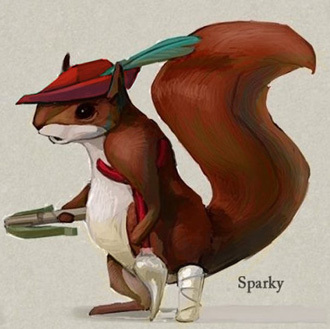 Here's a look at what the new, combat skill pets will look like when they come out this year! Another big question we asked this year related to quests, and which storylines you'd like to see us work on next. The majority of you wanted us to finish 5th age storylines, with almost 60% of the vote. Of those Fifth Age storylines - gnomes, Pirates and 'slayer stories' narrowly coming out in the top 3. After scanning the horizon for seagulls and checking under the desk for zombie heads… we've decided it's the Pirate Quest were working on next. Titled Pieces of Hate, it's a fitting finale for Rabid jack – an investigation into horrificness, with crazy puzzle-solving madness, jokes and rum-soaked sailors, filled with nostalgia and packed with nautical action! It seems that the Crassian sea creatures and krakens have been roped into part of Rabid Jack's plans, and you'll find yourself exploring Ex Dragonkin temples underwater, using your trusty diving gear and more besides. 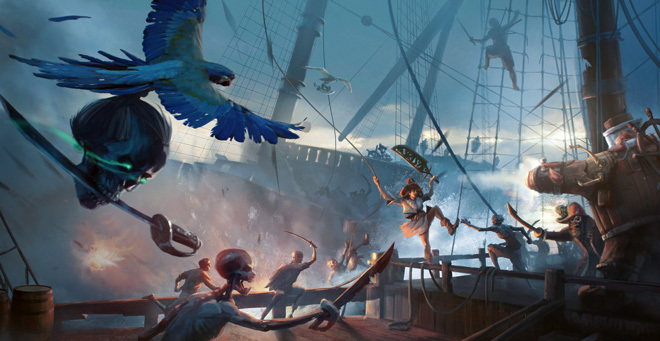 Your zombie headed friend has plenty of secrets to divulge, leading to you reuniting with the pirate captains to take down Rabid Jack forever! Yaaar! Don't forget we've got the Evil Dave quest coming out too, so look out for some equivalent absurdity in that one. Often, people forget that skilling activities are supposed to be fun. When we read comments on the forums it always seems to be about XP return and rewards. At least, that what it looks like. The survey told us that - actually - fun was the most important thing for you when training your skills. That's music to our ears, and fits in nicely with a 5 year plan we have to make skilling, well, more enjoyable. Part of that plan is to make content more sociable - more enjoyable when experienced with others. And the first update following that mantra is called Deep Sea Fishing. The spiritual successor to Fishing Trawler (or BucketScape as it's sometimes affectionately named), this update will see players jumping into boats with plenty other players and heading out into the ocean, sailing to different fishing hotspots that change weekly. Each spot has different effects and different sorts of gameplay available, meaning you might end up with favourite locations with the combination of features that's just right for you. 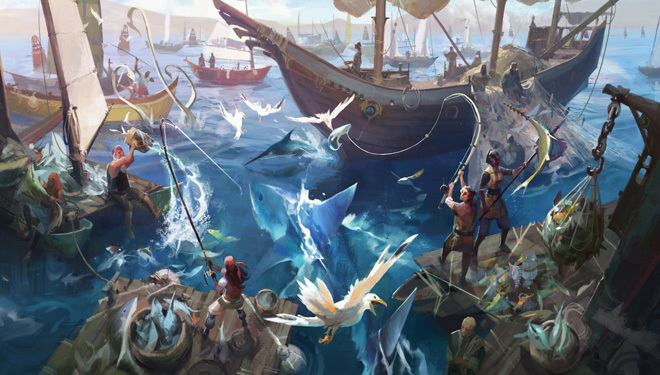 The gameplay is far more frantic than typical fishing fare, similar to the Fishing Trawler, and grouping up with your friends will bring the greatest rewards. You can just tag along for the ride though – with special chillout spots for those who just want to kick back and watch. The gameplay will bring multiple levels of player together, ensuring there's always a boat available when you fancy a dip. With more effort comes more XP, with the long-term plan being to have “effort and fun” as a viable alternative to lean-back grind for every skill in the future. Another skilling update to talk about is Safe Cracking, an expansion to the Thieves' Guild and an interesting new way to level up that most dastardly of skills. You'll travel the world and infiltrate its most lucrative castles and keeps, looting their treasuries and filling up your swag bags, dodging security and medieval alarm systems, then returning to the guild to fence your goods. Each treasury also holds legendary items: things so precious to the Thieves' Guild they'll want to display them for every up and coming scoundrel to see. Each legendary treasure acts as a perk for thieving, much like the prawnbrokers or memorial to Guthix, and is worth a bucket of XP and hanky points. In fact, a brand-new tier of hanky points and reward shop items are available to the successful looters, helping you optimise further thieving training with additional loot bags and better safe-cracking techniques. 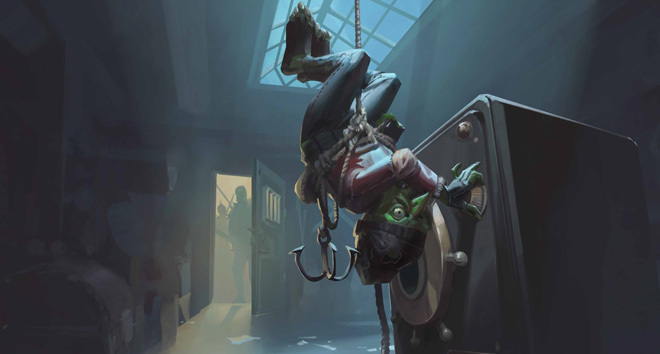 The update targets thieves around level 65-95 but for those of you with 99 Thieving already will get a boost as soon as you arrive – they want to see the true master thieves after all! Back to the survey then. We asked you how much you cared about Slayer to 120, and how much you wanted those gaps to 120 filled. Over 70% of you said 'Yes please' – even those who didn't have the levels yet wanted it to happen. You told us that slaying was your favourite sort of combat content in the game - with bossing coming second, far ahead of minigame combat and PvP. Occupying over 10 map squares, which is even bigger than Prifddinnas, the Lost Grove is a coastal island to the west of the gameworld, accessible from the poisoned swamps. Imagine a dark, thick canopy over an ancient forest, older than the elven woods or the spirit trees – at its heart sits a huge, magnificent oak, with its roots so deep they entwine the heart of the planet. Various creatures call this place home, such as fairies and wisps, but for now let's concentrate on these bark-clad badasses. While they have a kind of cute look about them, they are far from it. Sitting proudly at 104, 106 and 108 Slayer, these critters - each of which sits on a point on the combat triangle - are part of the grove and will be in game next week! Inspired in part by the old moss giants which were released back in 2001, each has its own unique challenges. The unique drop from these new creatures is the cinderbane gloves – some cracking new hybrid gloves that sit at tier 85. 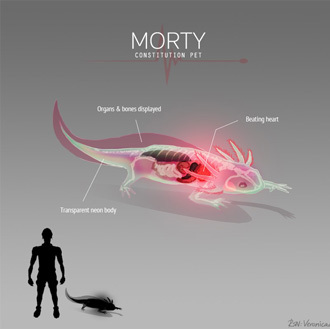 They can apply a basic poison in combat, which can be enhanced by other means! Now a massive area like that's going to have more content on it than some mobs, right? Well, we're adding a few more things for you to discover while you explore the place, not least a new weekly D&D focussed around the Farming and Hunter skills. And then there's this guy. Solak is this year's vicious new boss monster, following in the giant footsteps of Vorago and Telos. Solak will be the toughest boss on launch, added to the game slightly after the Slayer mobs, geared towards groups of up to 7 people. I know we always say it will be tough, but we're aiming to kill thousands of you. You will die. Lots. This battle will be insane, requiring the best team work and coordination since Raids, requiring a completely different approach to boss fighting. He's a huge (albeit unwilling) Guardian of Guthix who defends the island from those who want its power. Back in the 2nd Age, Seren sent a group of elite elf warriors to help in this divine task, with betrayal leading to one of those elves being consumed by Solak and the island disappearing into the mists of time. 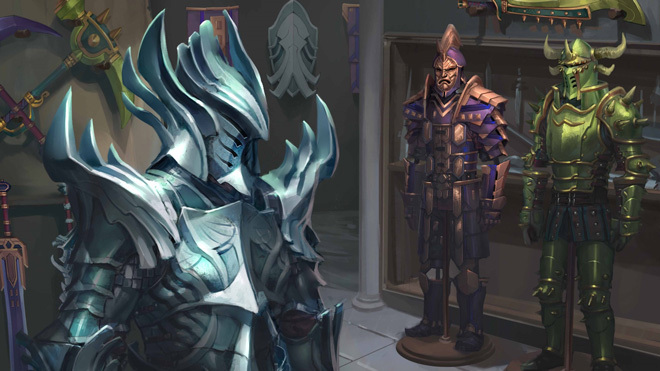 Four ages have passed since that fateful fight, with Solak now both guardian and twisted elf spirit. Your job is to split that infectious, mental parasite and restore Solak. With the fight itself, we're going for a different vibe, with Solak performing new sub attacks rather than the standard boss fare. After a set number of sub attacks, he moves to his next phase, performing specific steps that must be stopped – growing in power if not. 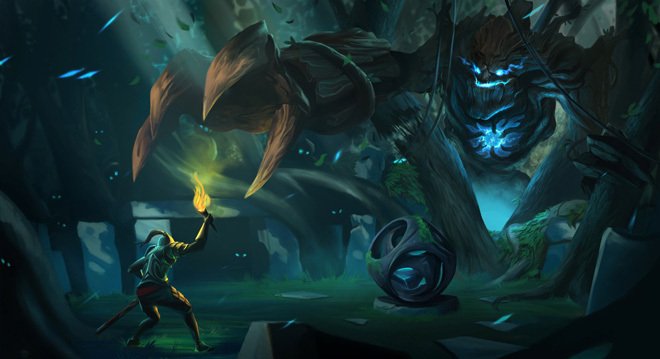 You'll find yourself battling up into the canopy, down on the forest floor and around the giant tree itself, with both players and Solak using the environment to their advantage during the fight. Each phase has a more narrative feel to it than normal fights, with individual members of the player team being called out to beat the challenge at different points in the fight. This means each player has a role, handling various buffs and stacks of their own, with less focus on tank and spank and more on the evolving, team-based nature of the fight. You'll even have to target different sections of Solak, managing multiple health bars as his legs, arms and body become revealed during the fight. The fight also has a special duo mode available for those of us who like a battle with just one buddy, and the fight has plenty of unique offerings to the victors – new drops like the tier 92 dual-wielded crossbows, with special ammo also available from the slayer monsters on the island, and even a new boss pet, among others. I know that tricky combat isn't everyone's cup of tea, so were also making some pretty bold changes to Revolution mode for those of you who prefer the easy life. Check out the combat talk later in the day for more information on that. For the next update we're going back to the polls. You told us you wanted to see more unique game modes following on from the Deadman Mode that's proved so popular in Old School, and the experimental DarkScape that we tried a few years ago. The poll saw global quests and PvM survival modes come out on top, so we've taken that as inspiration and developed something called Dimension of the Damned. Available to both free-to-play and members, this new cooperative game mode will see you controlling a special maxed out version of your character in a version of the world where everyone is dead. Taking place in the free areas, you'll find yourself based in Falador in a dark, ominous parallel universe, where beyond the city walls zombies spawn everywhere. You'll need to defend yourself from these abominations, gather the raw materials you need to kit yourself out in the best gear you can muster, with different zombie types, including boss monsters designed for fights with up to 10 people, plaguing your every step. You can use barricades to protect you and your friends while skilling, or even use them to grief your fellow zombie hunters. You can get power ups and unique equipment from these bosses, racking up points as you kill your enemies. These points can be used to buy loot boxes from Falador, and the players with the highest points earn a special invitation to the unique endgame. This 2 hour endgame, taking place on the final weekend of Dimension of the Damned which is planned to happen in October this year, features a permadeath mode and a freshly wiped score. Players with the lowest scores are eliminated over time, the world growing smaller and smaller more enemies spawning, until finally, one player will remain, earning unique prizes at the end. It's designed to be new-player friendly with all accounts at max level, so it's the perfect time to team up with those low-level buds – especially since the update is totally free! In fact, we've got the perfect update if its team gameplay you're after. While being an Ironman is the ultimate challenge (beyond those crazy lvl 3 pures), it's a solitary life, never able to run those 5 man dungeons or join in with boss fights. Well now, you'll be able to! Make some brand-new accounts and get together with your iron mates, working as a team, able to interact fully with each other - trading, playing, fighting and socialising to your heart's content. So that's all content we've got in development right now – updates you can expect to see in the next 6 months. No empty promises. This is real, actual content you'll be playing with very soon. So, what haven't we talked about? Well, the biggest Unfinished Business is perhaps the Bank Rework. It's still one of our top priorities, and we're sorry you haven't got hold of it yet. Hand on heart, it's something we woefully underestimated, with the work involving several different teams across multiple products. We want it so much, but we refuse to give you something half-baked. It needs to be done properly, and for that we just have to wait. Perhaps the same can be said for Mining and Smithing. We share your pain – we want that to be the best it can be, and you've told us quite clearly in the latest ingame poll that anything other than a complete rework just won't do. Excitingly, I can reveal that proper development work finally started on the Mining and Smithing update last week! We're done talking about it – we're doing it. We want to be even more ambitious than some of the things we've talked about here. We're still dreamers at heart, dreaming of the perfect RuneScape. We're busy experimenting – we haven't forgotten about weather, but we've taken it in a slightly different direction, playing with ambitious projects like day/night cycles and the gameplay that might bring with it. We're playing around with ideas about Slayer Masters, and if you could become a slayer master, issuing tasks to NPC's, earning points based on how successful your students were. We're even playing around with new boss monsters, and what it might be like to destroy a demon king from the inside. There's plenty of other ideas we're tinkering with at the moment, not least some pretty crazy quests as we consider the ominous future of the Elder Gods. You'll have to watch the lore session if you're hungry to know more… but let's not create more unfinished business by talking about the far future of updates. Well... apart from one. 70% of you are members of a clan, and while it's not something we're working on today, it's something the whole studio want to see in development for 2018. 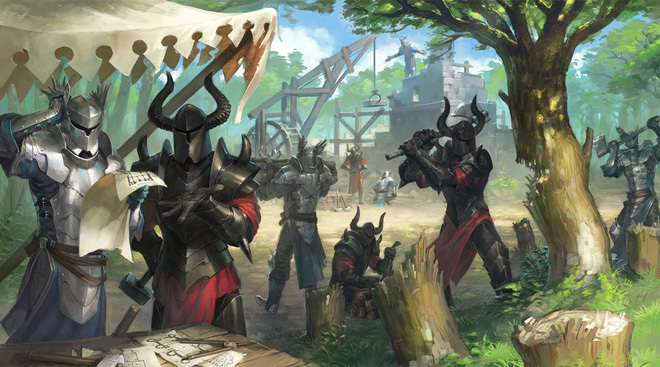 We all want RuneScape to be more social – and if the 5-year plan with social, fun skilling alternatives is the tip of that iceberg, the clan content is the bulk of that work. We know we can make individual new updates more social, and plenty of the updates I've talked about have that in spades, but across the existing game we want you to benefit from each other's company, especially in clans. We dream of clan benefits being more than just an XP buff, with the capacity to welcome noobs and low-level players in a meaningful, beneficial way. We want high-level players to be proud of their clan sigil, and make clans easier to manage and organise for clan leaders. We've challenged every single one of our staff to think in a more social way, to be even more player-focused than we currently are - to make a game we can all be proud to call home, together.